Total solar eclipse over Illinois. Illinois eclipse. Great American Eclipse. 2017 solar eclipse. Solar eclipse 2017. 2017 eclipse. 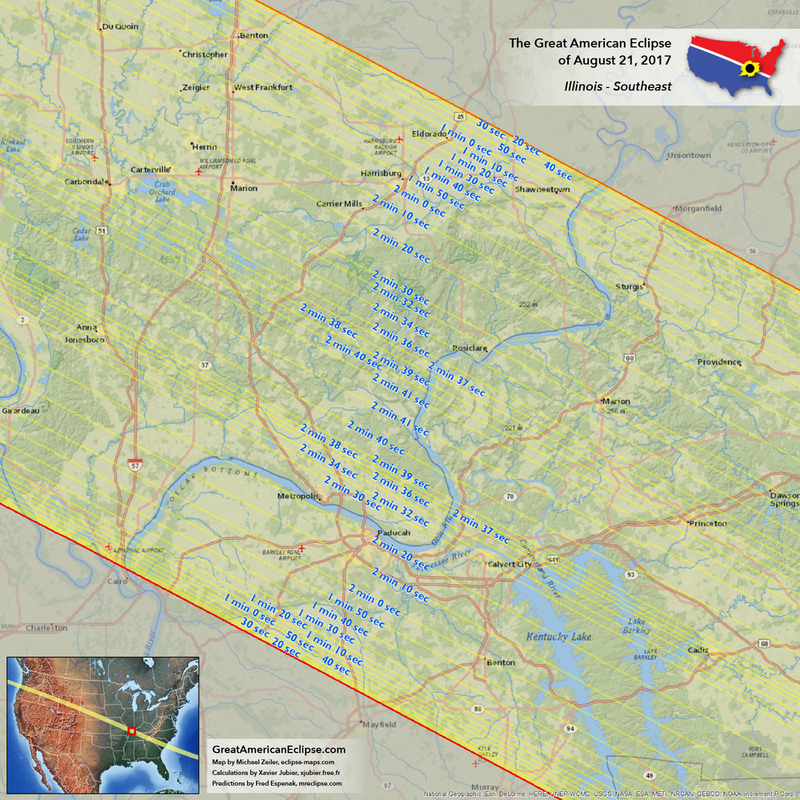 The very longest duration of eclipse is in southern Illinois. The Land of Lincoln will enjoy its moment under the eclipsed Sun. 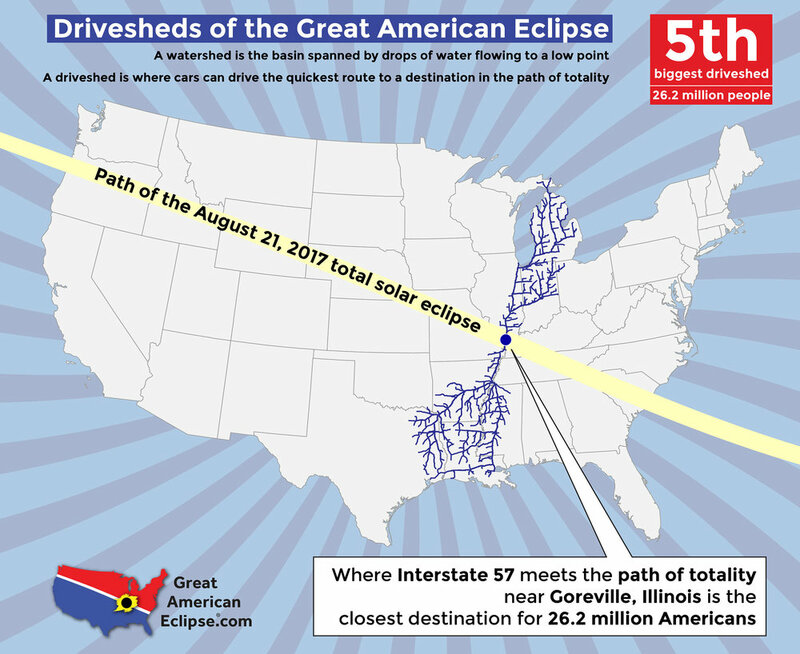 Only the southernmost section of Illinois enjoys totality, but this state has bragging rights for the longest duration of the total solar eclipse along the entire path if only by a tiny whisker over Kentucky. Eclipse calculations today are extremely precise. Not only are the best ephemerides for the motions of the solar system bodies used, but precise topographic models of the Moon are employed to discern which lunar valley or low point will pierce the Sun's disk early or late to affect the precise duration of eclipse. These calculations point to the very longest duration to be at 37.568 degrees North latitude and 89.1029 degrees West longitude. Near this spot is a name that warms the heart of eclipse chasers: Blue Skies Vineyard. The bigger question is: how important is point of longest duration? Truth be told, not very. It's a fun fact but the three overwhelming considerations for a viewing location on eclipse day are weather, weather, and weather. If the short-term weather forecast here is good, enjoy a glass of vino at the vineyard under the shadow of the Moon. If not, drive to where there are blue skies, hundreds of miles if necessary. 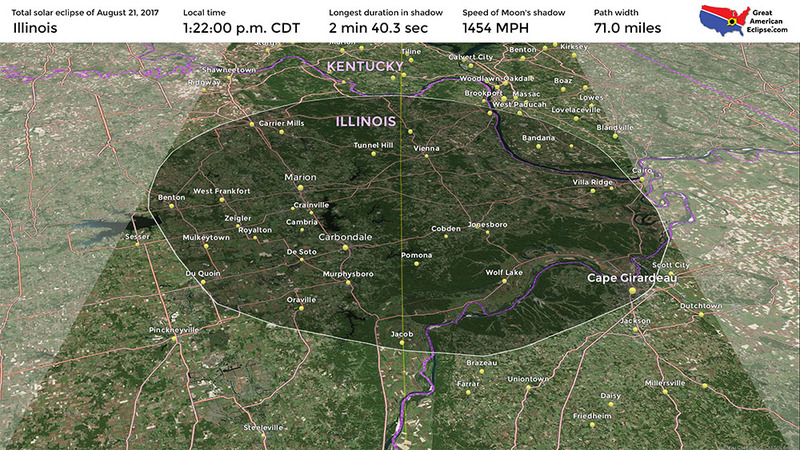 Carbondale gets 2 minutes and 35 seconds of totality. Marion has 2 minutes and 28 seconds. 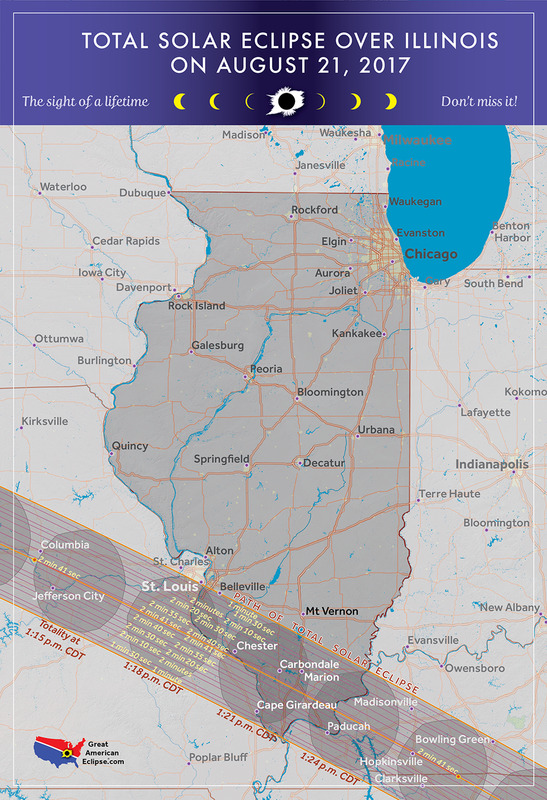 The total solar eclipse enters Illinois at 1:17 p.m. CDT and leaves at 1:25 p.m. 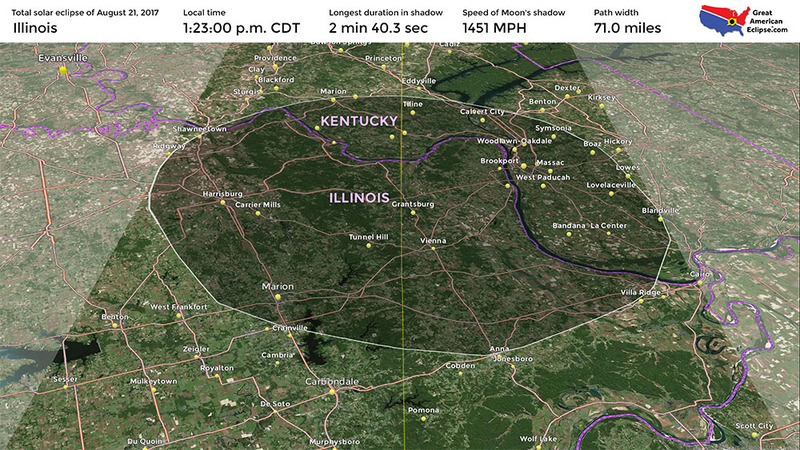 The shadow of the Moon is speeding through Illinois at about 1825 miles per hour! Eclipse viewing activities in the Carbondale area are being coordinated by Southern Illinois University. 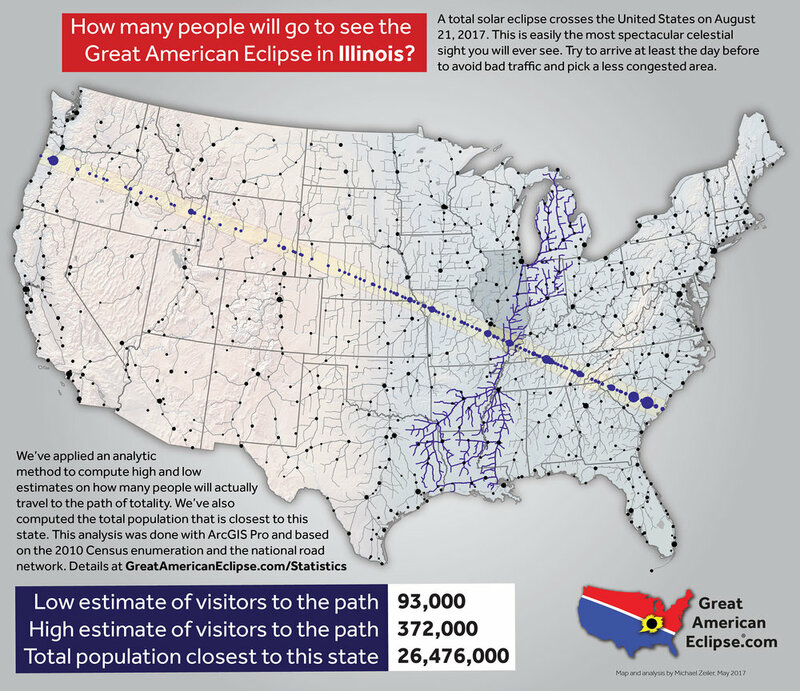 Visit http://eclipse.siu.edu/ for details.